Stephen Scherer has had a finger on the pulse of genomic research for over 20 years. But that didn’t prepare him for what happened while he was vacationing at his Ontario cottage last summer. “I had four consecutive days where people came and asked, on behalf of their relatives, about a genetic test – asking what does this mean?” says Scherer, a University Professor at the University of Toronto who is a Director at U of T’s McLaughlin Centre and the Hospital for Sick Children’s Centre for Applied Genomics. The sudden rise in dockside queries is a result of the increasing ease of reading one’s genetic information. In a lab at Sick Kids’ Peter Gilgan Centre for Research and Learning, for example, it now costs about $1,000 to sequence an individual’s entire genome – a process that takes about a week. By contrast, it took researchers about $3 billion and 15 years to create a reference genome for the Human Genome Project, published in 2003. Yet, what hasn’t improved quite so rapidly is our understanding of all that data. Recent research has shown our genomes are far more complex than previously thought. That, in turn, means much more work is necessary to decode our genomic “blueprints” so we know when mutations are something to worry about, and how prevent them from becoming full-blown illnesses. Getting there will require tapping the expertise – and, critically, data – of researchers and clinicians who work in a wide swath of medical fields. It’s an interdisciplinary challenge U of T and its partner hospitals are in a unique position to tackle. “We think U of T is the right place to do this,” Scherer says. “The breadth of research here is so vast and the university has a single medical school, which is a huge advantage since people who are doing cancer research or autism research are actually meeting around the same tables. Toronto has another reason to be optimistic about its chances to be a leader in genomic medicine: The city already has a long history of research excellence when it comes to understanding our genes and genomes. In the mid-1980s, for example, U of T University Professor Tak Mak discovered the T-Cell receptor, beating labs around the world and establishing a cornerstone of modern immunology. And he did it despite being turned down for a grant related to the work. “It was a sunny Sunday afternoon in the summer of 1983,” Mak, who is also a senior scientist at the Princess Margaret Cancer Centre, recalled in a 2011 article published by the Proceedings of the National Academy of Sciences of the United States of America. “I walked into the lab, and there was a stack about 2 feet high of computer sheets comparing the sequences of our T cell-specific genes to everything in the gene bank. Other local success stories in the field were equally as momentous: In 1989, U of T University Professor Emeritus Lap-Chee Tsui, who was previously the geneticist-in-chief at the Hospital for Sick Children, discovered the mutation in the gene responsible for cystic fibrosis, a genetic disease that affects about one out of every 2,000 Canadians – mostly children; in the mid-1990s, U of T University Professor Peter St George Hyslop discovered the genes responsible for early-onset Alzheimer’s. Scherer, too, has made several key contributions. In 2004, he co-authored a landmark study about copy-number variations, or repeated or deleted copies of entire genes that vary by individual. Then, earlier this year, Scherer and fellow researchers released a first-ever study as part of the Personal Genome Project (PGP) Canada. The paper, published in the Canadian Medical Association Journal, found all of the project’s 56 participants – all reasonably healthy – possessed “clinically relevant” genomic information. Scherer, for one, envisions a day when every child will have their genome sequenced upon being born – a sort of genetic instruction booklet. 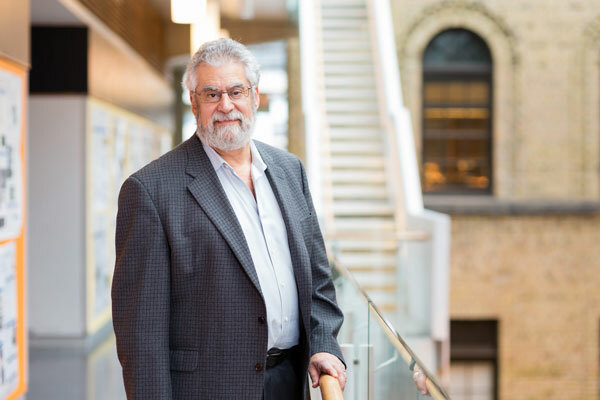 “That’s what we’re preparing for here at SickKids – essentially every child would have their genome done as a framework so they can use it in decision-making throughout their lifetime,” he says. Beyond the hospital, there are also a growing number of private companies who offer direct-to-consumer genetic testing. The Silicon Valley startup 23andMe, for example, built an international business with five million users straddling nearly 50 countries in just over a decade. It has even attracted the interest of drug giant GlaxoSmithKline, which wants to use the company’s genetic database to find new drug targets. No wonder, then, genetic counsellors – U of T offers a two-year master’s program – occupy one of the fastest growing job categories in the United States, according to numbers compiled by the U.S. Bureau of Labor Statistics. From a research perspective, meantime, there’s hardly a facet of medicine, from autism to heart disease, that hasn’t been informed by the growing ocean of genetic data. University Professor Michael Sefton, the Executive Director of U of T’s Medicine by Design initiative, says genomic information is core to everything researchers do in the cutting-edge field of regenerative medicine, which aims to regrow, repair or replace damaged or diseased cells, organs and tissues. 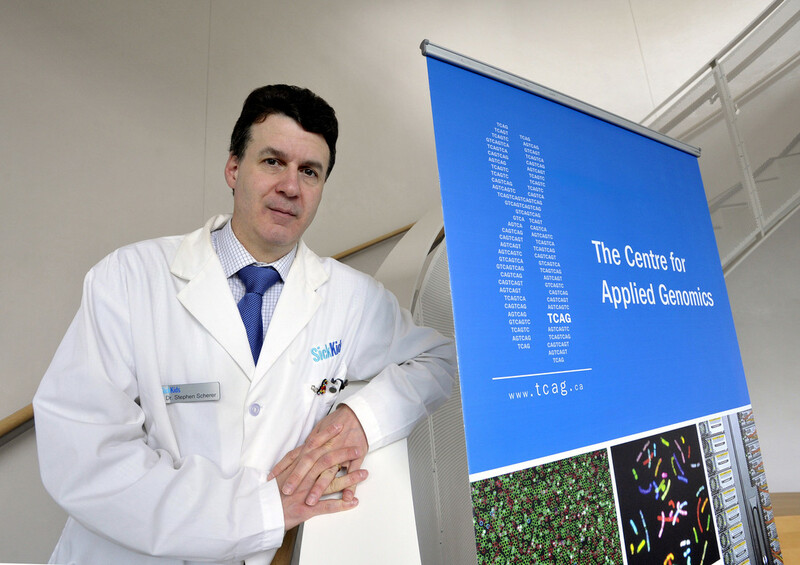 “Some of the projects don’t worry so much about what the genes are up to, but will instead have a protein-centred perspective or are looking at how the cells interact,” says Sefton, who also holds appointments in the Institute of Biomaterials & Biomedical Engineering and the Department of Chemical Engineering and Applied Chemistry. federal government, the largest in U of T’s history, proves Toronto is indeed a place where it’s possible for researchers to successfully work together across institutional boundaries. Toronto may also have a technological advantage in the race to develop genomic medicine. In recent years, the city has become an important hub for artificial intelligence, or AI, research in fields like deep learning, which was pioneered by people like U of T University Professor Emeritus Geoffrey Hinton. The technology, which mimics the way the human brain learns, is capable of recognizing patterns in extremely large data sets – like the human genome. Deep Genomics, for example, is a startup spun out of research by U of T Professor Brendan Frey that uses deep learning to search for clues about genetic diseases and potential treatments. It’s so far raised more than US$10 million in financing. “Right now we look for bazooka wounds in the genes,” Scherer says. “But to find the subtle variations, we need to use machine learning.